Imaged in with the Canon 6Da at Canon EF 300mm f/2.8 L IS II full open. 30 x 3 minutes. Total exposure time was 90 minutes. 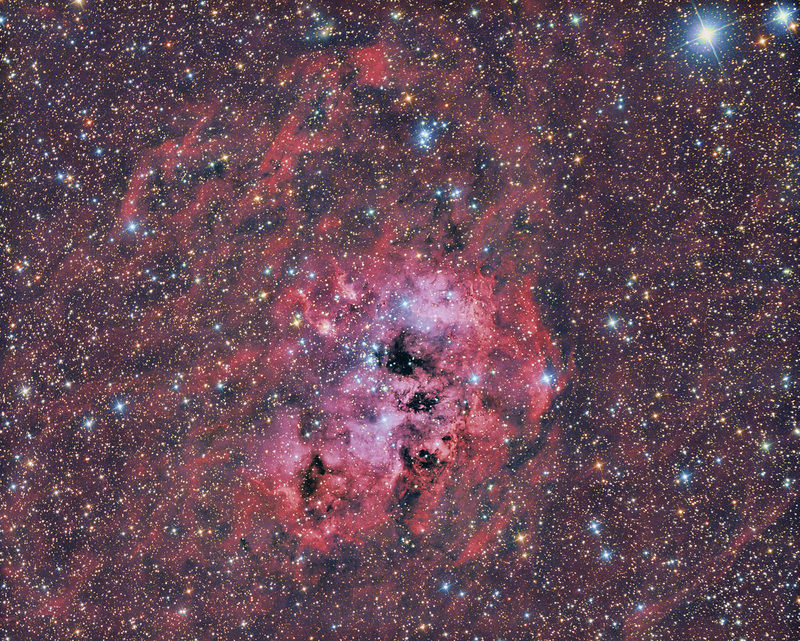 IC 410 or NGC 1893 is a nebula in constellation Auriga. Imaged with the Moravian G3-16200 at my 12″ f/4 Newtonian. L:R:G:B:HA=300:260:290:290: 600minutes. Subexposures were 30 minutes for HA L and 10 minutes for RGB. Total exposure time was 29 hours. 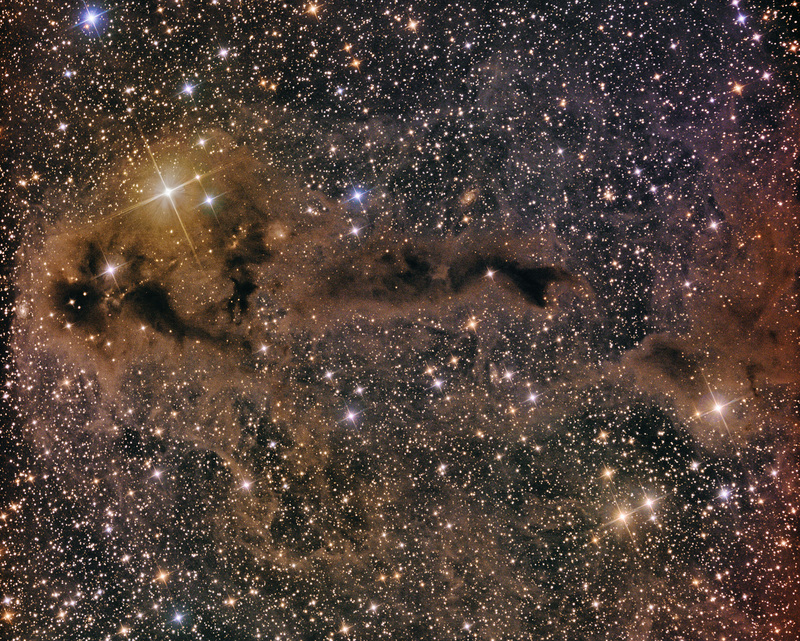 LDN 1250 is a dark nebula. It is not an easy object from my backyard observatory. Imaged with the Moravian G3-16200 at my 12″ f/4 Newtonian. L:R:G:B=570:330:330:240 minutes. Subexposures were 30 minutes for LRGB. Total exposure time was 24 hours. 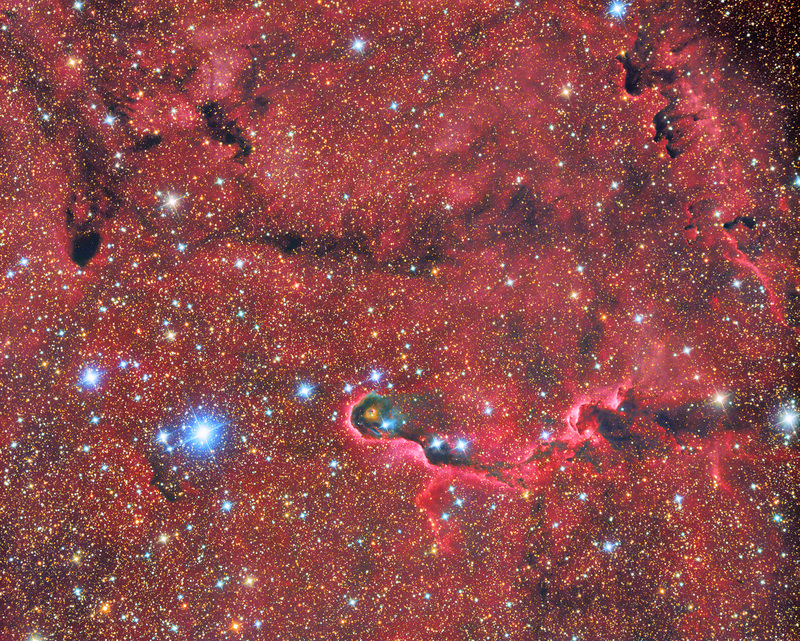 here is Elephants Trunk Nebula, VdB 142. Imaged with the Moravian G3-16200 at my 12″ f/4 Newtonian. 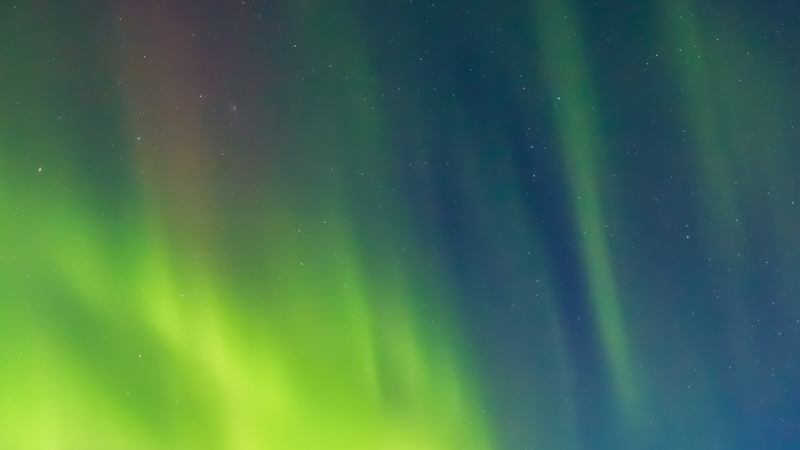 L:R:G:B:HA:SII=120:200:200:200: 420:420 minutes. Subexposures were 30 minutes for HA SII and 10 minutes for LRGB. Total exposure time was 26 hours. 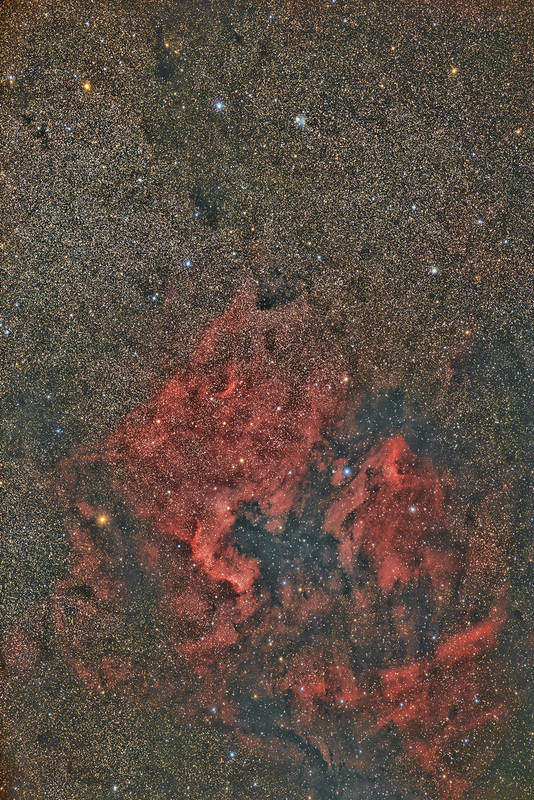 here is the a widefield of the North America Nebula. This my first test with the EF 300mm f/2.8 II at the Canon 6Da attached to my fathers old Superpolaris mount now upgraded with the MGEN autoguider. 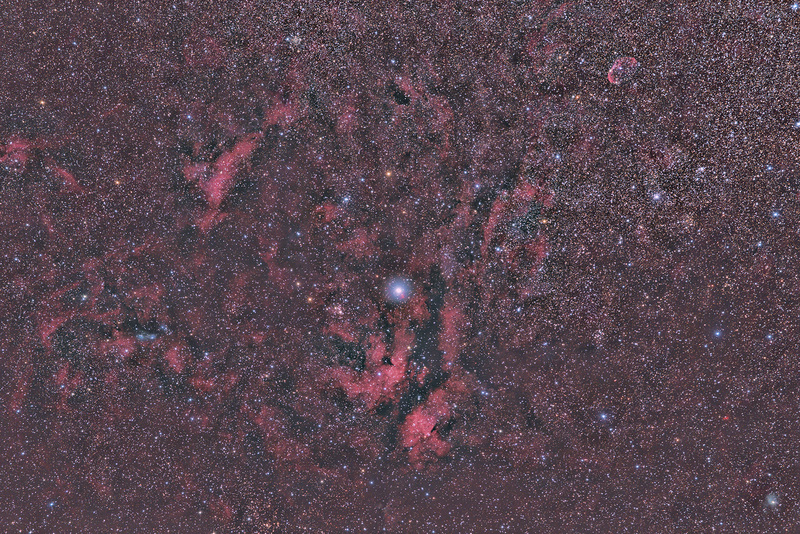 66 RAW images with 180s, ISO 800, f/2.8 were processed in PixInsight and Photoshop. 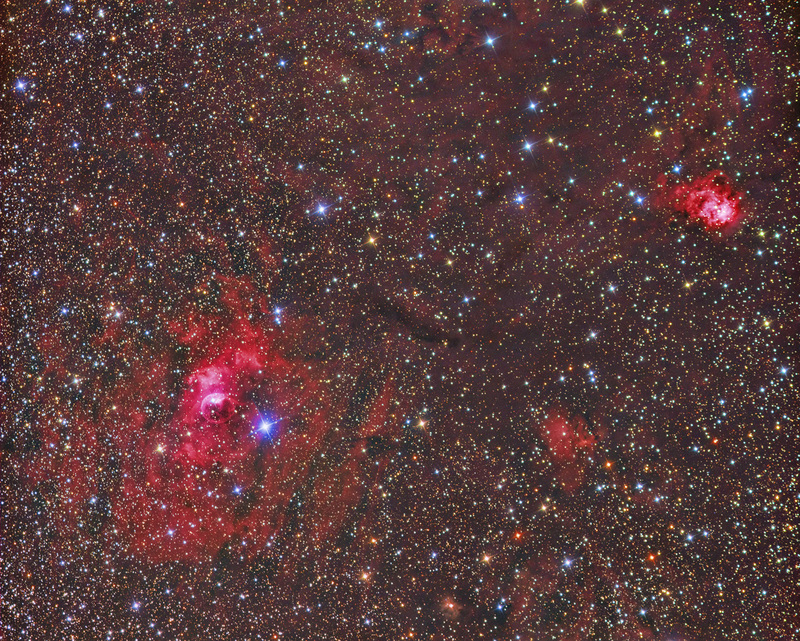 here is the Bubble Nebula with surroundings. Imaged with the Moravian G3-16200 at my 12″ f/4 Newtonian. L:R:G:B:HA:OIII:SII=120:120:120:120: 510:330:330 minutes. Subexposures were 30 minutes for HA OIII SII and 10 minutes for LRGB. 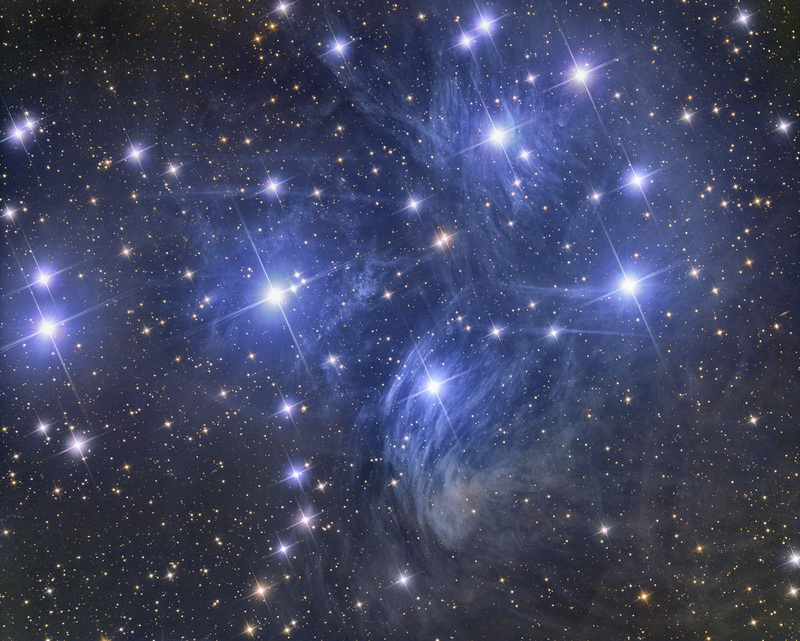 the Pleiades are one of my favourite objects, but they are not easy to image because of the faint blue nebulas and the very bright stars. Imaged with the Moravian G3-16200 at my 12″ f/4 Newtonian. L:R:G:B=240:200:200:200 minutes. Subexposures were 10 minutes for LRGB.